Cupcakes 'n Daisies: Tis the Season . . . Happy Holidays to you and yours, Thelma. I think New York City is busy 24 hours a day, 365 days a year. Merry Christmas Thelma. I'm looking forward to another year of blogging, quilting and friendship. Merry Christmas , THelma, Thank you for blogging and sharing and spurring our enthusiasm for the love of quilts. May the New Year be grand for you and your family.Hugs and Stitches Always. Merry Christmas to you Thelma! So glad you enjoyed yourself in NYC. Was wondering where you were, as I'm sure everyone else wondered too. Glad it was a good thing! Cooper looks so handsome in your photo. He's such a good boy. Thank you for all the pics! I know you had a wonderful time in the big city! And a Happy Holiday to you and yours. 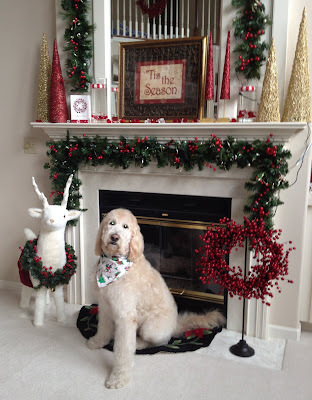 Thanks for the pics, love to see Cooper,he looks so behaved. Thanks for sharing. Merry Christmas! I really enjoy reading your blog. A few years ago I had a poinsettia that stayed looking like the day I bought it until May! It only lost a couple of leaves and everyone wondered if it was real. Have a wonderful holiday. Merry Christmas to you and your loved ones! Enjoy your time together...hope the cake turns out well! 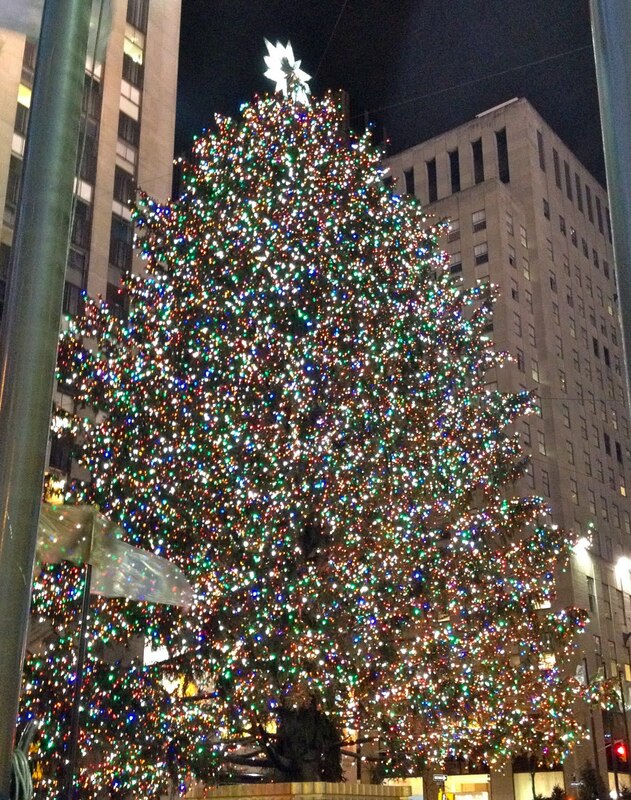 Oh gosh, I have always dreamed of going to NY for Christmas... to see the tree in the square! And the window displays! What a wonderful start to your holiday celebration Thelma! I love your deer... and the story:) Nice to have your daughter home, doesn't that just make everything perfect?!? Cooper is adorable, posing for you there! Have a very merry and very blessed Christmas. I enjoyed this post & glad I recently found your blog. 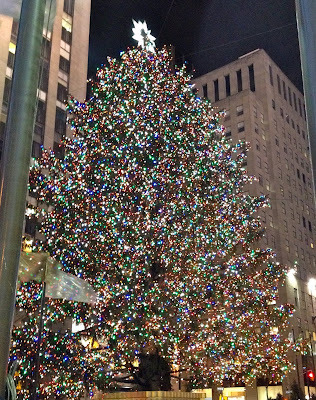 How exciting that you got to spend a few days in NYC this time of year. Wishing you & your family a wonderful Christmas! Happy Christmas! Love the photo of Cooper and the reindeer! Merry Christmas, Thelma. Best wishes for the new year. Merry Christmas, Thelma. I can't wait to see what quilts are in your future for 2012! Your decorations look beautiful! I'm glad you threw caution to the wind and visited NYC too. Isn't it amazing how many people can fit into that small space? Very best wishes to you for a wonderful New Year! Hope you had a merry Christmas and best wishes for the new year! !